B’nai Sholom Reform Congregation continues its popular “Synagogue Scholars” series with a talk by Adah Hetko of the Yiddish Book Center in Amherst, Massachusetts, on the development of Yiddish identity among today’s Yiddish women vocalists. B’nai Sholom is at 420 Whitehall Road, Albany, New York. Who sings in Yiddish today and why? How do these singers learn Yiddish songs? How does singing in Yiddish change their lives? In a multimedia presentation, Hetko will draw from 14 in-depth interviews she conducted in 2016 and 2017 with leading Yiddish women singers to examine how language, mentorship and community shape what it means to become a Yiddish singer today. A resident of Boght Corners, Hetko is a fellow at the Yiddish Book Center, where she assists the Yiddish Language Institute and develops content for upcoming exhibits. Hetko received her master of arts degree in Jewish studies from Indiana University in 2018. She owes her research interest and love for Yiddish song to her years as a participant at klezmer festivals and to her Yiddish language professors. Hetko performs regularly in the Pioneer Valley of western Massachusetts as a vocalist and guitarist with the klezmer and Balkan music band Burikes (“Beets”). For more information about the “Synagogue Scholars” series, visit www.bnaisholomalbany.org or contact the B’nai Sholom office: office@bnaisholom.albany.ny.us or 518-482-5283. Founded in 1971, B’nai Sholom Reform Congregation in Albany is a home for contemporary Reform Judaism in the Capital Region. Nearly 130 diverse households from eight counties seek religious, educational and social fulfillment at B’nai Sholom. For information about B’nai Sholom and the benefits of belonging, visit www.bnaisholomalbany.org or contact the B’nai Sholom office at 518-482-5283 or office@bnaisholom.albany.ny.us. 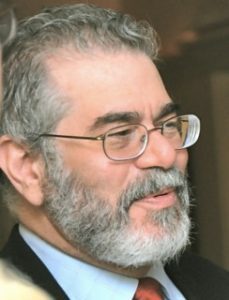 A new course taught by Rabbi Don Cashman at B’nai Sholom Reform Congregation will look how Reform Judaism constantly evolves as Jews continue to seek and create a faith in harmony with our times, beliefs and experiences. “A Life of Meaning: Sacred Paths in Reform Judaism” will be offered Mondays beginning April 22, 7:30 p.m., at the synagogue, 420 Whitehall Road, Albany, New York. The goals of religion have changed over the centuries. Ancient people may have hoped to ease their way into the afterlife. Later, religion provided direction for salvation. Now, humans are looking for meaning in the here and now (and only possibly but not definitely the afterward). This new course will read and discuss a variety of essays of varying viewpoints on Reform Jewish practice, experience and belief. Topics include “Knowing God,” “Choosing Covenant,” “Connecting to the Divine,” “Living the Texts,” “Building Community” and “Dignity of the Other.” All are sections from A Life of Meaning: Embracing Reform Judaism’s Sacred Path (CCAR Press, 2017) by Rabbi Dana Evan Kaplan. Registration for this six-session course and purchase of the book are required. Cost of the course is $30; for B’nai Sholom members, it is just $25. Participants may obtain Kaplan’s book through the synagogue for $20 or on their own; a Kindle edition is available for $7.99. Deadline to purchase the book through B’nai Sholom is April 10 to ensure that it arrives by the start. For more information or to register, contact the B’nai Sholom office: 518-482-5283 or office@bnaisholom.albany.ny.us. Founded in 1971, B’nai Sholom Reform Congregation in Albany is a home for contemporary Reform Judaism in the Capital Region, creating a vibrant Jewish present that links ancient traditions with the promise of the future. Nearly 130 diverse households from eight counties seek religious, educational and social fulfillment at B’nai Sholom. For information about B’nai Sholom and the benefits of belonging, visit www.bnaisholomalbany.org or contact the B’nai Sholom office at 518-482-5283 or office@bnaisholom.albany.ny.us. Mitzvah Da y is planned for Sunday, April 7. Starting at 11:30 a.m., more than 200 congregants from B’nai Sholom, Congregation Beth Emeth, Congregation Ohav Shalom, Congregation Beth Abraham-Jacob and Temple Israel will gather at Beth Emeth on Academy Road in Albany and then fan out to volunteer at sites around the Capital Region. The many talents of the region’s Jewish community will be on display at B’nai Sholom Reform Congregation’s Bet Kafeh (“Coffeehouse”) on Saturday, March 30, 7 p.m. at the synagogue, 420 Whitehall Road, Albany, New York. 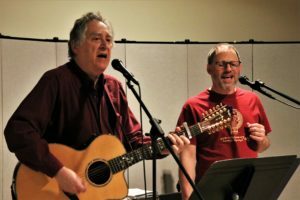 Hosted by singer/songwriters Phil Teumim and Will Vail, the open mic event will showcase the singing, storytelling, poetry recitation and musicianship of the Jewish community. Everyone is invited to perform. Sing a song, play an instrument, tell a story, read some poems or tell a joke or two. Sign up in advance or at the door for a 10-minute slot. Listen and appreciate, or perform and be appreciated. Coffee and refreshments will be available. Free admission: donations appreciated. For more information, visit www.bnaisholomalbany.org or contact the B’nai Sholom office at 518-482-5283 or office@bnaisholom.albany.ny.us. What do we know about the archaeology and history of ancient Israel, and how do we know it? A course at B’nai Sholom Reform Congregation in Albany will provide many of the answers. “Archaeology and History of Ancient Israel” will be taught over eight Thursdays beginning April 11, 10-11:45 a.m. at the synagogue, 420 Whitehall Road, Albany, New York. Founded in 1971, B’nai Sholom Reform Congregation in Albany is a home for contemporary Reform Judaism in the Capital Region. Nearly 130 diverse households from six counties seek religious, educational and social fulfillment at B’nai Sholom. B’nai Sholom Reform Congregation in Albany will present a screening of “FIX IT: Healthcare at the Tipping Point,” a documentary that examines the nation’s dysfunctional healthcare system and provides a solution to America’s runaway healthcare costs. “FIX IT: Healthcare at the Tipping Point” will be shown Saturday, April 6, 7:30 p.m. at the synagogue, 420 Whitehall Road, Albany, New York. Refreshments will be available. Free and open to the public. The United States has the highest healthcare cost per capita of any country, more than twice that of the next highest country. Families are forced to make the choice between needed drugs or treatment and food. Healthcare providers are saddled with a huge administrative burden while trying to focus on patient care. Two years in the making, “FIX IT” features more than 40 voices advocating for reform, including activists, health policy experts, economists, physicians, nurses, patients, business and labor leaders. The 58-minute documentary takes an in-depth look into how our system of healthcare is damaging the economy, suffocating businesses, discouraging physicians and negatively impacting on the nation’s health while remaining unaffordable for one-third of U.S. citizens. Following the film, Dr. Frederick Eames, a diagnostic radiologist sub-specializing in neuroradiology, will lead a discussion on the problem and the fix. Eames’ entire career has been with Albany Medical Center and Community Care Physicians. Like millions of other citizens, Eames is a consumer of healthcare services and an observer of national policy debates about the problems in the U.S. healthcare system. B’nai Sholom Reform Congregation in Albany will present a screening of “1945,” an eloquent, at times gripping, multi-award winning drama of a society trying to come to terms with the recent horrors they’ve experienced, perpetrated or just tolerated for personal gain. “1945” will be shown Saturday, March 9, 7:30 p.m. at the synagogue, 420 Whitehall Road, Albany, New York. Refreshments will be available. Suggested contribution: $5. On a summer day in 1945, an Orthodox man and his grown son return to a village in Hungary while the villagers prepare for the wedding of the town clerk’s son. The townspeople – suspicious, remorseful, fearful and cunning – expect the worst and behave accordingly. The town clerk fears the men may be heirs of the village’s deported Jews and expects them to demand their illegally acquired property back. Based on the short story “Homecoming” by Gábor T. Szánto, director Ferenc Török paints a complex picture that reiterates Thomas Wolfe’s famed sentiment: you can’t go home again. After the film, Ivan Vamos, a Holocaust survivor who was born in Budapest in 1938, will lead a discussion that will help illuminate the film’s themes. Vamos and his mother managed to survive by, among other things, hiding in abandoned buildings in Budapest. After liberation in late 1945 and in 1946, they went to Slovakia to try to get on the Czechoslovak quota for emigration to the U.S. He recollects being the only surviving Jewish child living in small rural communities at the edge of Trenava and Levice in Slovakia. Vamos’ experiences during the war and in the years immediately afterward give him a unique perspective. 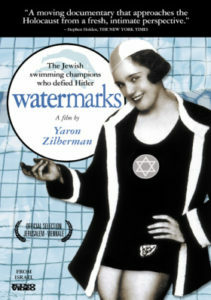 “1945” has garnered awards at film festivals in San Francisco, Miami, Washington, Chattanooga, Jerusalem, Berlin, and Austria. Released in 2017, the 91-minute film is in Hungarian with English subtitles. Film and image provided by Menemsha Films. B’nai Sholom Reform Congregation in Albany will present a screening of “The Samuel Project,” a powerful story about one teen’s discovery of the heroism within his own family history when he chooses his grandfather, played by Hal Linden, as the subject of his senior art project. “The Samuel Project” will be shown Saturday, Feb. 9, 7:30 p.m. at B’nai Sholom, 420 Whitehall Road, Albany, New York. Refreshments will be available. Suggested contribution: $5. Eli (Ryan Ochoa) gets to know his grandfather Samuel (Linden) for the first time when he makes his grandpa the subject of an animated art project for school. With dreams of becoming a professional artist, the high school senior discovers that his grandfather, a Jewish dry cleaner, was heroically saved from Nazi capture in Germany by a young woman when he was a boy. After hesitating, Samuel agrees to tell his story for the project – a story he hasn’t told in more than 75 years. Particularly relevant today, the film explores the use of art to tell a story of generations coming together and preserving the history of an individual, a Holocaust survivor who kept his painful story secret, even from those he loved. Released in 2017, director Marc Fusco’s heartwarming drama is both inspirational and evocative, conveying how love of family can make a difference in one’s outlook on life. Winner of the “Audience Award (Best Narrative Feature)” at the 2018 Los Angeles Jewish Film Festival, the 92-minute film is rated PG-13. Here comes every cook’s chance to be the best chef at a Jewish-style chili cook-off contest. It’s the sixth Chilipalooza at B’nai Sholom Reform Congregation. The spicy deliciousness takes place Saturday, Feb. 2, 6-9 p.m. at the synagogue, 420 Whitehall Road, Albany, New York. Chilipalooza is open to the public. Admission is $8 per person with a maximum of $20 per family. Contest entrants receive a $4 discount. Cornbread, fixings and beverages will be provided, making this the perfect antidote to a cold February evening. Chili buffs are encouraged to enter their favorite kosher-style recipes in one of two categories: meat (no pork or shellfish allowed, please), and vegetarian. The audience will sample each and vote for the best palate-pleasers. Winners will be determined after two rounds of tasting. Top vote-getters will receive awards. Everyone gets to enjoy a delicious, informal culinary experience with an array of chili styles and tastes. 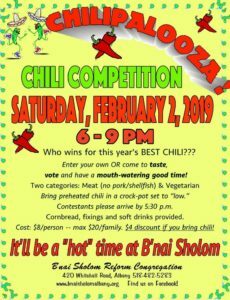 To enter the cook-off, contestants should plan to arrive at the synagogue by 5:30 p.m. with their chili pre-heated in crockpots set on “low” and a ladle. If you plan to bring chili, or for more information, contact the B’nai Sholom office: 518-482-5283 or office@bnaisholom.albany.ny.us. Put on your dancing shoes for a cause as three Capital Region congregations partner for a night of international folk dancing to benefit Family Promise of the Capital Region. B’nai Sholom Reform Congregation in Albany, Delmar Presbyterian Church and Journey United Church of Christ in Glenmont will host the event Saturday, Jan. 12, 2019, 6:30-8:30 p.m. at Delmar Presbyterian Church, 585 Delaware Ave., Delmar, New York. Led by experienced folk dance teachers and B’nai Sholom congregants Joan and Jim Savitt of Albany, participants will learn easy international dances, including some from Israel, that are appropriate for all ages. Refreshments will be provided by a team of star bakers from all three congregations. Admission is free; voluntary donations to Family Promise will be appreciated. 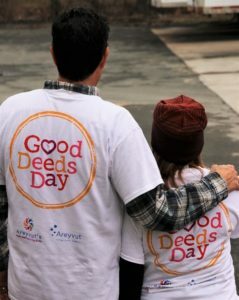 Through an interfaith hospitality network of congregations and dedicated, trained volunteers, Family Promise provides shelter, food and assistance to children and their families who have lost their housing due to a variety of reasons, such as loss of job, reduction of working hours or rising rents. Fifteen host and many support congregations provide meals and overnight accommodations to 3-4 families for one week at a time, four times a year. The program’s Day Center, located on New Scotland Avenue in Albany, offers families a home environment, including two full baths, laundry facilities and computers as well as case management services. Transportation is provided between host sites and the center using a 15-passenger van. Delmar Presbyterian Church serves as a host congregation in partnership with B’nai Sholom Reform Congregation as its support. Journey United Church of Christ partners with Lisha’s Kill Reformed Church in Colonie. The congregations continue to work together to help homeless children and their families and are excited to sponsor this interfaith event. B’nai Sholom is the first synagogue in the Capital Region participating in Family Promise. For more information about the Jan. 12 program, contact B’nai Sholom at office@bnaisholom.albany.ny.us or 518-482-5283. B’nai Sholom Reform Congregation continues its 2018-19 “Synagogue Scholars” series with a book discussion by Professor Martha Rozett of Love and Treasure by Ayelet Waldman. Rozett will lead the conversation immediately following the congregation’s Friday, January 11, Shabbat service. The service and program, open to all who wish to worship and learn, begin at 8 p.m.
B’nai Sholom is located at 420 Whitehall Road, Albany, New York. Waldman’s historical novel combines interlocking episodes from three times and places: 2013 in America and Hungary; 1945-1946 in an American Army camp in Salzburg; and 1913 in Vienna, where a sexually obsessed Freudian analyst gives the novel a satirical edge. It was inspired by the true history of the Hungarian Gold Train. The novel contains two love stories, a multi-faceted quest that involves a large cast of characters, a perspective on the plight of European Jews after the end of the Second World War and a depiction of the shady trade in art objects stolen by the Nazis. A Shakespeare scholar, Rozett’s most recent work is When People Wrote Letters: A Family Chronicle (The Troy Book Makers, 2011), a story told through family letters and autobiographies about the travels and careers of her mother and great aunt and about a romance threatened by the differences between New England Episcopalians and New York Jews. She frequently teaches contemporary historical fiction, including fiction on the history of the Jews, and lectures in the community at Bethlehem Institute for Lifelong Learning and at the Albany Public Library. Rozett holds a doctorate in English from the University of Michigan. Begun in 2004, the “Synagogue Scholars” series spotlights individuals in the Capital Region Jewish community who are recognized authorities in their fields. For more information, visit www.bnaisholomalbany.org or contact the B’nai Sholom office: office@bnaisholom.albany.ny.us or 518-482-5283. Founded in 1971, B’nai Sholom Reform Congregation in Albany is a home for contemporary Reform Judaism in the Capital Region. Nearly 130 diverse households from eight counties seek religious, educational and social fulfillment at B’nai Sholom. For information about B’nai Sholom and the benefits of belonging, visit www.bnaisholomalbany.org or contact the office at 518-482-5283 or office@bnaisholom.albany.ny.us. B’nai Sholom Reform Congregation in Albany is excited to announce that it will continue its monthly “Tot Shabbat” through 2019. Held the second Friday of each month, each Tot Shabbat features songs, dancing, a story from a “PJ Library” book and basic prayers focused on children age 5 and under. The half-hour service at 5:30 p.m. is preceded by an informal reception at 5 p.m. with food and drink to appeal to both small children and their parents and an opportunity for all to socialize. Rabbi Donald P. Cashman will continue to lead most of the services, with assistance from congregants and lay leaders. B’nai Sholom is located at 420 Whitehall Road, Albany. 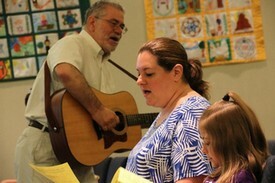 The congregation began Tot Shabbat in summer 2018 on a pilot basis at the suggestion of a congregant who was eager for a program that would benefit her twin daughters. Now it will become a permanent offering. Each service features a story read from a PJ Library book. A program of the Harold Grinspoon Foundation, PJ Library sends thousands of books free to Jewish children in the U.S. and Canada each month. Interested Jewish families simply sign up to receive an age-appropriate book every month for each child between 6 months and 8 years of age. In the Capital Region, PJ Library partners with and is run by the United Jewish Federation of Northeastern New York. A new dues structure put in place by B’nai Sholom earlier this year is helping draw more young families to the congregation. The congregation has reduced its dues significantly for younger and first-time members. Families and individuals age 35 and under may join for free. Beginning at age 36, a member’s dues obligation will increase 20 percent each year until the congregant owes the full dues amount at age 40. Membership for new congregants of any age is free for the first year. The Capital Region community will have an opportunity to purchase beautiful fair trade products and Judaica for this holiday season and help people in need through B’nai Sholom Reform Congregation’s Fair Trade Sale, Judaica Sale, and clothing and blood drives Sunday, Nov. 11. The Fair Trade and Judaica sales will be held 10 a.m.-4 p.m. The American Red Cross Bloodmobile will be on-hand 9 a.m.-1 p.m. to collect badly needed blood donations, and the congregation will hold its semi-annual used clothing collection. All will take place at the synagogue, 420 Whitehall Road, Albany, New York. The Fair Trade Sale will feature exquisite items from all over the world including jewelry, textiles for the home, baskets, clothes, handbags, purses, scarves, children’s products, coffee, tea, chocolate and more from Mayan Hands, Woman’s Peace Collection, Every Basket Counts, Heartsounds Uganda, Kekeli Inc., Bosnian Handcraft Project, Beautiful Things, Ghana Baskets/Studio 55, Equal Exchange and others. Buying fair trade goods means buying products from producers in developing countries at a fair price. It is a more efficient way of promoting sustainable development than traditional charity and aid. Buyers have the ability to make a difference in the lives of the producers, who often cannot find employment in the countries in which they live. Fair trade coffee, tea and chocolate are grown and produced sustainably. The Judaica Sale will feature beautiful items from the congregation’s Judaica Shop, offering a selection appropriate for all Jewish occasions as well as gifts for her, for him and for the home. In addition, B’nai Sholom will accept clean, gently used winter clothes and shoes for donation to those in need throughout the Capital Region. Donors are asked to sort their clothes twice: by gender – male, female and unisex – and again by age – infant, child, teen and adult – and to label their bags. Lastly, the blood drive will welcome donors by appointment and walk-in. Right now, the American Red Cross urgently needs blood donations. To schedule a time, phone 1-800-REDCROSS or visit www.redcross.org. For more information about the Nov. 11 sales and drives, visit www.bnaisholomalbany.org or contact the B’nai Sholom office: 518-482-5283, office@bnaisholom.albany.ny.us. B’nai Sholom Reform Congregation continues its popular “Synagogue Scholars” series with a talk by Deborah Sturm Rausch in remembrance of Kristallnacht and in honor of Veterans Day. Rausch will present her talk, “From Broken Glass and Shattered Dreams to Freedom Fighter and Family Legacy: The Sturm Family of Augsburg,” immediately following the congregation’s Friday, Nov. 9, Shabbat service. The service and program, open to all who wish to worship and learn, begin at 8 p.m.
Rausch will discuss her father Walter Sturm’s experience growing up in Germany, his arrest during Kristallnacht, his service to the U.S. as an American soldier and her 2017 trip to Augsburg, Germany, with her children, Becca and Rachel, and Jo, Rachel’s spouse. At the invitation of the Jewish Cultural Museum and the city of Augsburg, they joined together with nearly 100 members of 11 families from all parts of the world to trace the memories of their ancestors and participate in the ceremony to commemorate the 100th anniversary of the Great Synagogue of Augsburg. This personal and poignant story is especially compelling today as Jews face an increase in anti-Semitism and displays of hate and prejudice in the U.S. and beyond. Rausch’s presentation also will commemorate Veterans Day. Rausch is an award-winning public relations professional with significant experience in both the private and public sectors. She has served as director of communications for various New York state agencies including the Office for Persons with Developmental Disabilities, Consumer Protection Board, Facilities Development Corporation and the Department of Transportation. She also has held the position of director of communications for the city of Albany and has extensive experience in the nonprofit community, having held positions as executive director and public relations, marketing and development director at various nonprofit organizations in the Capital Region. Rausch is passionate about community and has dedicated herself to service. She is on the board of trustees of Congregation Ohav Shalom, vice president and past president of the Women’s Press Club of NYS, a founding member of Women in Development NENY and the Friends of the Mohawk Towpath Scenic Byway Coalition, advising member of the Descendants of the Jewish Community of Augsburg and editor of its newsletter, and co-founder and past co-chair of Holocaust Survivors and Friends in Pursuit of Justice (now Holocaust Survivors and Friends Education Center). Begun in 2004, the “Synagogue Scholars” series spotlights individuals in the Capital Region Jewish community who are recognized scholars in their fields. 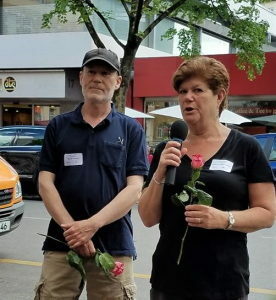 Photo caption: Debbie Rausch with her cousin Steven Felgran at the placement ceremony of the permanent memorial (Stolpersteine) outside their parents’ childhood home on the Bahnhofstrasse in Augsburg, Germany, June 2017. Photo courtesy of Debbie Rausch.